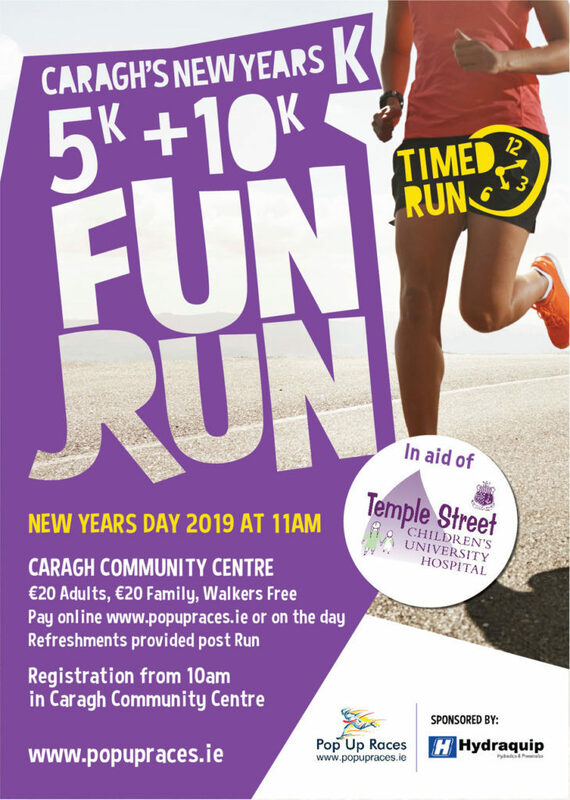 NEW YEARS DAY Run starts 11am – sign on from 10am in Caragh Community Centre. 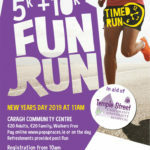 This is the sixth year of the Caragh 5k & 10k Run in aid of Temple Street Hospital. What a great start to the year, a good blow-out on New Years Day AND your helping Temple Street Children’s Hospital! This is a great run in a lovely village setting with most of the roads through leafy townlands and single track roads. Its not all plain sailing though and the hill in Caragh village with the church to the left will be felt on the back of your legs for sure. The run finishes back at the starting point at Caragh Community Centre where we hope you will join us for a cup of tea or bottle of water. We have plenty of car park spaces and toilet facilities at the event and the course is fully stewarded. So whether you’re a serious athlete, a couch to 5k or just fancy a great start to the new year then come along and support this great cause. 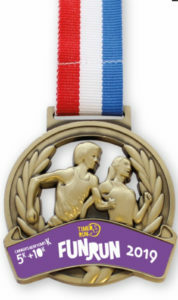 Medals for first 200 across the finish line ! By the way walkers are FREE! A big thanks to our sponsors Hydraquip. Most importantly, stay safe, have fun & Happy New Year!